If you’re tired of sorting through endless digital files to find what you need for your college app. My own transformative and challenging application process inspired my lifelong dedication to college admissions. 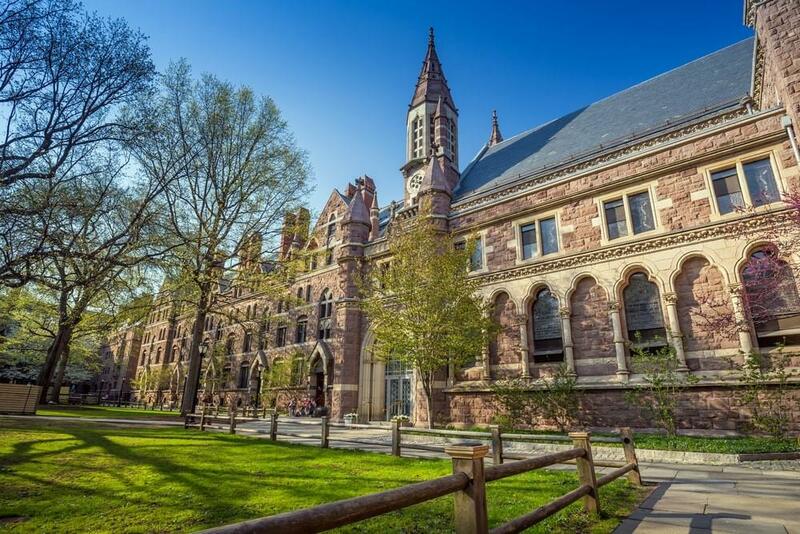 I’ve taken my years of experience as an Ivy League professor and service on Ivy League undergraduate admissions committees to streamline the college application process. My goal is to equip you with the knowledge and confidence you need to put your best foot forward on your journey to college acceptance. On the committee, I saw all the mistakes that students were making and some had easy fixes! Just as I’ve helped hundreds of other students get accepted to the college of their dreams, I’m here to help you do the same. To Your College Success! "Dr. Legatt is beyond experienced and knowledgeable about everything that students need to know to get into their top schools. Dr. Legatt really helped me highlight my strengths. She is an amazing expert and I would recommend her to anyone. Thank you so much Dr. Legatt!" 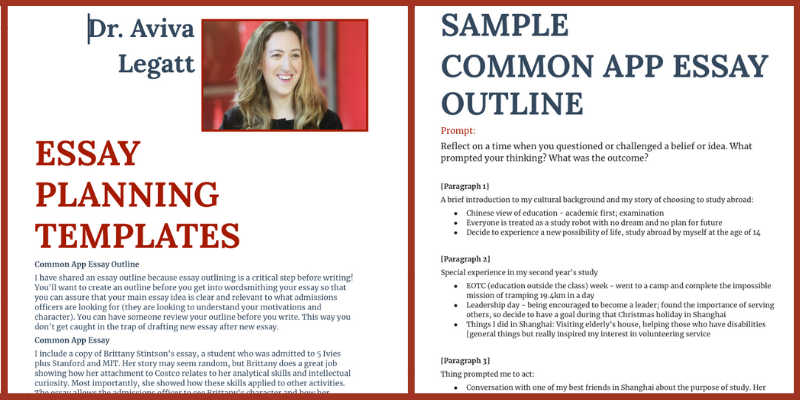 "The templates are a GAME CHANGER for me. I was procrastinating for awhile, but from having these, I then realized that it's not all that hard. " 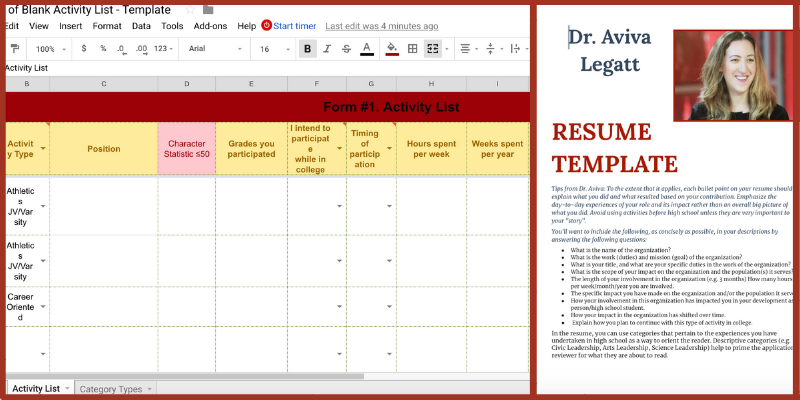 * Sample Resume complete with tips and advice from Dr. Legatt. 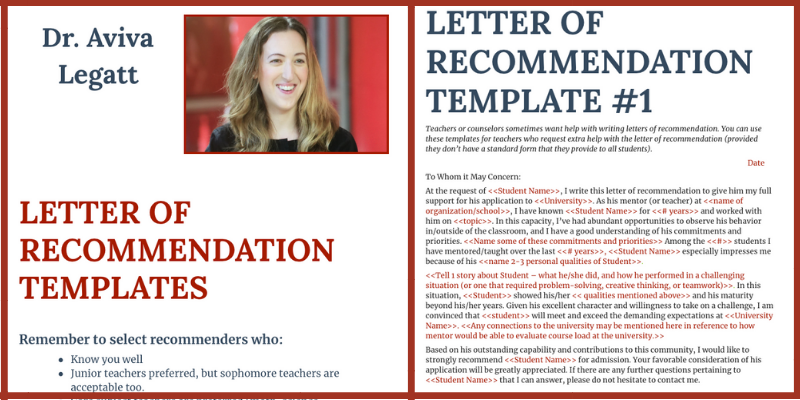 * 2 different letter of recommendation templates. * Guideline that ensures your recommender writes you a glowing recommendation. 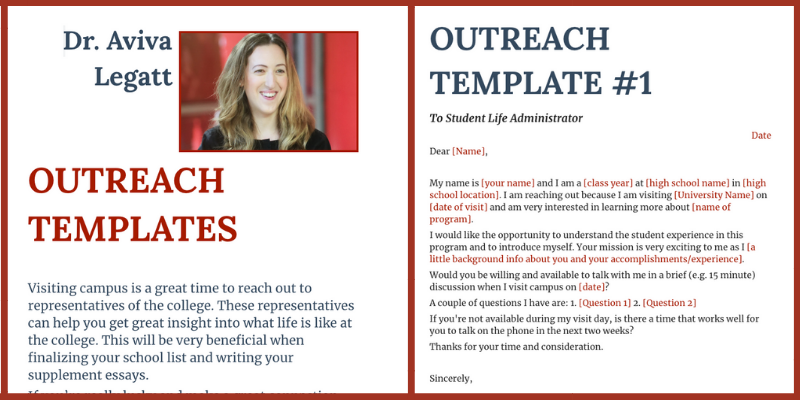 * 4 different email outreach templates tailored to reach the most important connections at your dream college. * 90 Minute Test Prep Session with Applerouth to help you prepare to earn your best score on the ACT or SAT. Don't need the complete bundle? Looking for something specific? You can purchase each template pack individually to suit your specific needs.